poor monkey... there should be a law against this seriously. 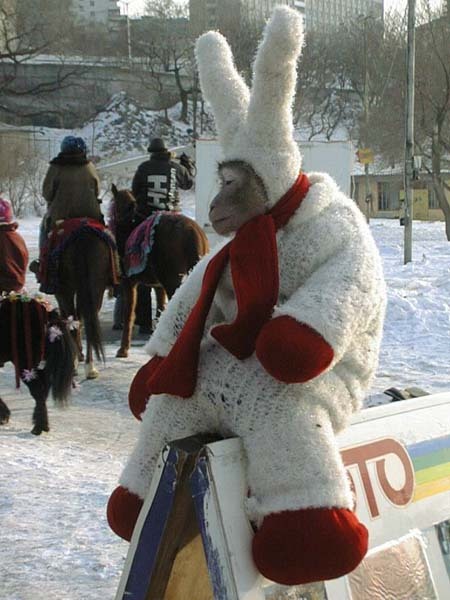 The monkey probably likes it, it looks nice and warm. He's trapped because his balls are stuck between the two billboards. "No one ever pays me in gum..."
Adorable and practical, but strange nonetheless.